APA has long engaged with FEMA, APA chapters, and other partners to be ready to assist when disaster relief and recovery work begins. Planners are invited to use the APA research, education, and publication resources below to assist with post-disaster recovery work and future hazard mitigation. In addition to these resources below, one of the APA Foundation's key initiatives is to help disaster-devastated communities. Learn more about the Foundation's Community Assistance work. Check out the Climate Change Resource page for additional information. 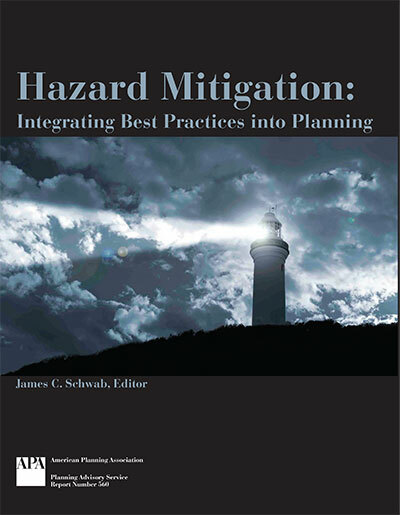 This compendium of American Planning Association resources for hazard mitigation and disaster recovery includes descriptions and links to policy guides, webinars, briefing papers, publications, reports, on-demand courses, and current applied research projects. The project briefing papers may be used alone or alongside Planning for Post-Disaster Recovery: Next Generation. 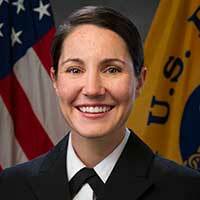 These succinct, downloadable PDFs are ideal handouts for meetings with officials and the general public. 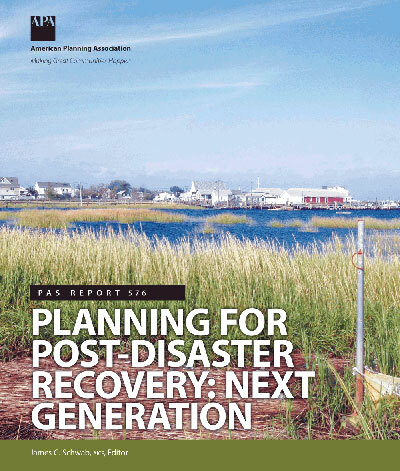 This updated PAS Report lays out a no-nonsense explanation of the benefits — and limitations — of planning for unpredictable events. Available to all as a free download. This PAS Report outlines how communities can integrate hazard mitigation priorities throughout the local planning process. Available to all as a free download. 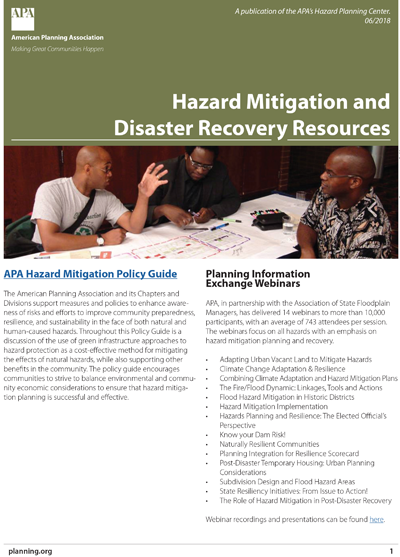 Access training resources from APA, including how to prepare a recovery plan for a community after a disaster; the next generation of post-disaster recovery; and the free Planning Information Exchange webinars that address resilience, climate adaptation and hazard mitigation plans, and hazard mitigation implementation. Learn about best practices for specific subtopics of post-disaster recovery planning. Effective ways to use the briefing papers for public meetings and meetings with public officials. Demographic shifts and climate change are making disasters bigger and costlier. Learn about the next generation of post-disaster recovery so you have the tools for a safer, stronger community. This is an ongoing series hosted by APA and the Association of State Floodplain Managers (ASFPM) under a FEMA grant. More than a dozen webinars are currently available for on-demand viewing that address: statewide approaches to resiliency; combining climate adaptation and hazard mitigation plans; and hazard mitigation implementation. The following presentations were created for the APA Recovery Workshop following Hurricane Sandy, but the information is applicable to other natural disasters. This report will help end the cycle of build-damage-rebuild. 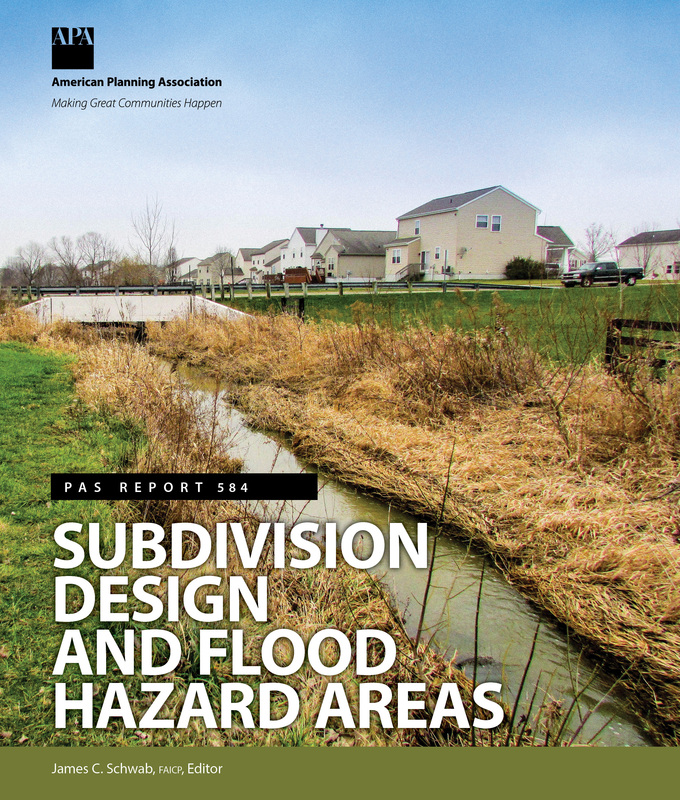 It offers communities sound guidance to bring subdivision design into line with the best of floodplain planning. The report was produced in partnership with the Association of State Floodplain Managers, with funding from FEMA. In the APA Podcast series Resilience Roundtable, host Rich Roths, AICP, talks with planners and allied professionals who make resilience their mission, even in the face of devastating natural hazards. 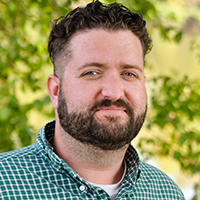 Rich is a senior hazard planner for Burton Planning Service of Columbus, Ohio. 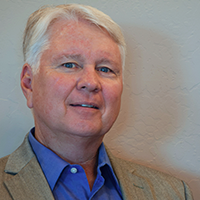 Previously he worked for the Federal Emergency Management Agency (FEMA), where he was in charge of coordinating all mitigation planning activities for the six states in Region V. Rich is also a member of APA's Hazard Mitigation and Disaster Recovery Planning Division. 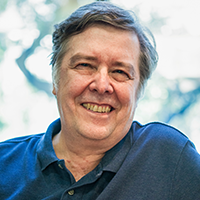 The first episode features John Henneberger, an expert on low-income housing issues, a 2014 MacArthur Fellow, and the codirector of Texas Housers, a nonprofit that advocates for equitable disaster recovery policy and practices. John describes Hurricane Harvey's specific toll on Houston and the surrounding area and how cyclical these disasters can seem, as many of the neighborhoods his organization works in have identical characteristics to what they saw in New Orleans's Lower Ninth Ward after Hurricane Katrina. Again and again throughout the discussion, John argues that good planning practice and equity are inextricably linked, and giving disaster survivors a sense of agency is one of the most important things planners can do for affected individuals. In the second episode of Resilience Roundtable, Kim Mickelson, AICP, joins host Rich Roths, AICP, to discuss Hurricane Harvey from her perspective as a City of Houston Planning Department attorney. The storm hit during her first week on the job, and it compelled city officials to approve a new hazard-mitigation action plan in March 2018. Kim talks about how having their third 500-year — or greater — storm in 18 months made them take a second look at their floodplain regulations, including elevation requirements for new construction, and their infrastructure design standards. She reviews the more challenging, Houston-specific aspects of the cleanup process and how she immediately thought to engage the services of APA's Community Planning Assistance Team once the storm had passed. In the third episode of Resilience Roundtable, host Rich Roths, AICP, talks with community planner Jack Heide, AICP CFM, and Lt. Emily Ussery, PhD, about the impact of Hurricanes Irma and Maria — two back-to-back Category 5 storms — on the US Virgin Islands in 2017. The two discuss their unique reasons for working in the region, how combining their expertise led to a more comprehensive recovery effort, and the lessons they took away from their first disaster response and recovery experience. APA's Hazard Mitigation Center Manager Jim Schwab, FAICP, speaks with Association of State Floodplain Managers Executive Director Chad Berginnis about the establishment of a federal standard for flood risk management and how that affects the hazards field. "The Cost Comes Before The Benefits"
Former Dutch Ambassador Renee Jones-Bos discusses how the Netherlands has dealt with issues of flooding and offers a unique perspective on how American planners can find value in the Dutch approach to dealing with water management. Dr. Kathryn Sullivan, Under Secretary of Commerce for Oceans and Atmosphere and National Oceanic and Atmospheric Administration (NOAA) discusses how NOAA is meeting the needs to build resilient communities and businesses. APA has worked with a number of partners on how to mitigate the risk and impact of damage related to wildfires. Below are several publications that focus specifically on wildfire risk reduction and recovery. People continue to build in wildfire-prone areas, posing challenges for governments and planners. 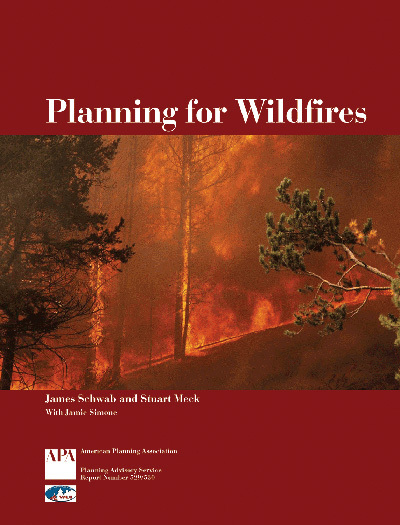 This report explores how knowledge of wildfire risks can be incorporated into comprehensive planning and identifies best practices for development in at-risk areas. Digital PAS Reports are free to APA members and may be purchased by nonmembers. The Community Planning Assistance Team program has dispatched pro bono planners to assist communities in the midst of recovery and rebuilding from a natural disaster. Teams have worked in Lyons, Colorado, and Franklin, Tennessee. If your community is interested in receiving additional planning support, apply for a CPAT. APA's Hazards Planning Center advances practices that promote resilience by reducing the impact of natural hazards on communities and regions. Through original and applied research, the center identifies practices that protect communities from natural and man-made hazards and educates planners and allied professionals about those practices. The APA Hazard Mitigation and Disaster Recovery Planning Division fosters professional communications about hazard mitigation and disaster recovery planning and builds a stronger knowledge base for use by planners. Join the division or connect via the Division's LinkedIn Group. APA staff is available to assist with outreach aimed at making federal and state legislators aware of disaster recovery resources that are available for planners, but also to report on assistance that is being provided by planners. The relevant House office may also be invited to participate in any on-site event or activity. For more information, please contact APA's Policy Director Jason Jordan at jjordan@planning.org. This policy guide discusses the differences and the tension between adaptation, response, and recovery. There is an understandable — and economically and socially rational — basis for wanting to protect community assets in place, protect people, and rebuild in place as quickly as possible, yet this may not be truly in the best long-term interests of individuals, communities, regions, or the nation. Requests for expert spokespeople and assistance with media relations may contact Communications Manager Roberta Rewers, at rrewers@planning.org or 312-786-6395. Additional assistance on preparing communications may be found in the Planners' Communication Guide and Media Center. APA has assembled a comprehensive list of disaster recovery and response programs available among federal agencies and some national nonprofits.